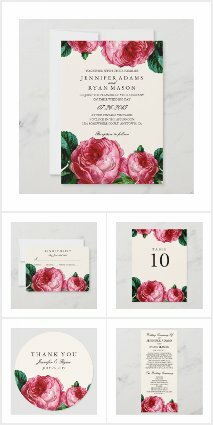 Complete wedding suites and stationery collections to inspire! 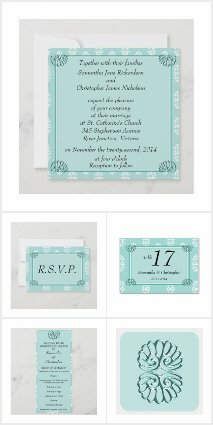 Nothing looks classier than matching invitations, rsvps, wedding postage*, table cards for the reception, save the dates and more. 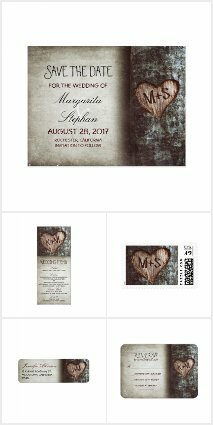 These complete collections will make a sophisticated statement and set the theme for your perfect day. *Postage stamps are available to customers in the U.S.A. only. Please note we are an affiliate of Zazzle, the world's leading POD (Print On Demand) online company. 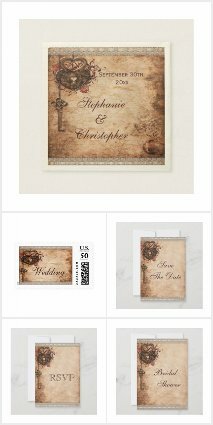 All product links go directly to the Zazzle website, whereby after a product is purchased, they will process your order and ship your product directly to you, with a 30-day return window if you are not 100% satisfied with your purchase.